A hassle-free pea and mint risotto you can cook up without too much effort. Recipe for 4 people, ready in about 45 minutes. FINELY slice the cloves of garlic and the large onion. Prepare 1 liter of chicken stock, but you can also buy this at the supermarket. When using a can of peas (instead of frozen peas), wash and drain it first. WASH the celery stalks, slice into thin slices. HEAT up a knob of butter and some olive oil in the large skillet on medium-high heat. Sauté the onion and garlic. 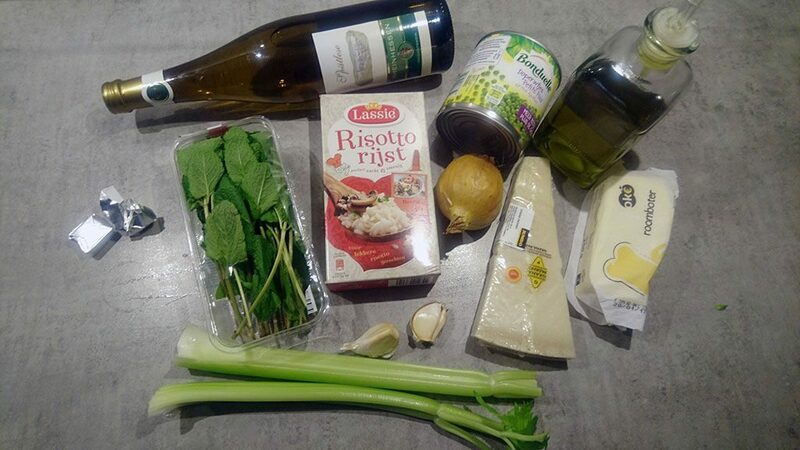 ADD risotto and cook glazed in 2 – 3 minutes time. DEGLAZE with a large dash of white wine and wait until the risotto has soaked up the wine. START by adding the chicken stock into the large skillet one ladle at a time. KEEP adding moisture when it has almost been used up. Repeat until all of the chicken stock has been used up, or when the risotto rice has been cooked well. STIR every now and then using the wooden spoon. LASTLY add in the peas, these only have to be heated up. 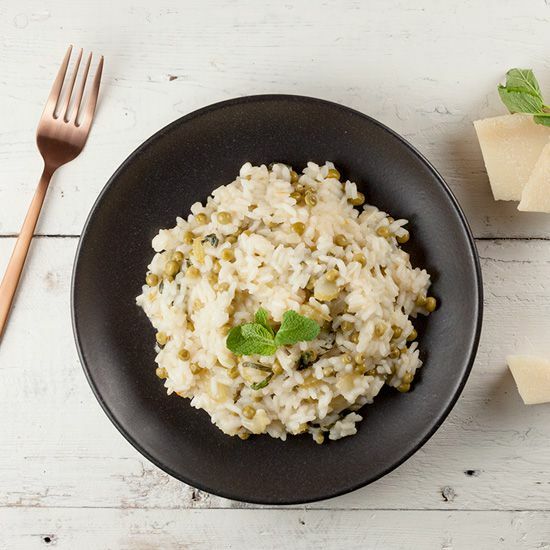 FINELY slice a handful fresh mint leaves, stir through the risotto. GRATE a large piece of parmesan cheese, stir through the risotto rice too. 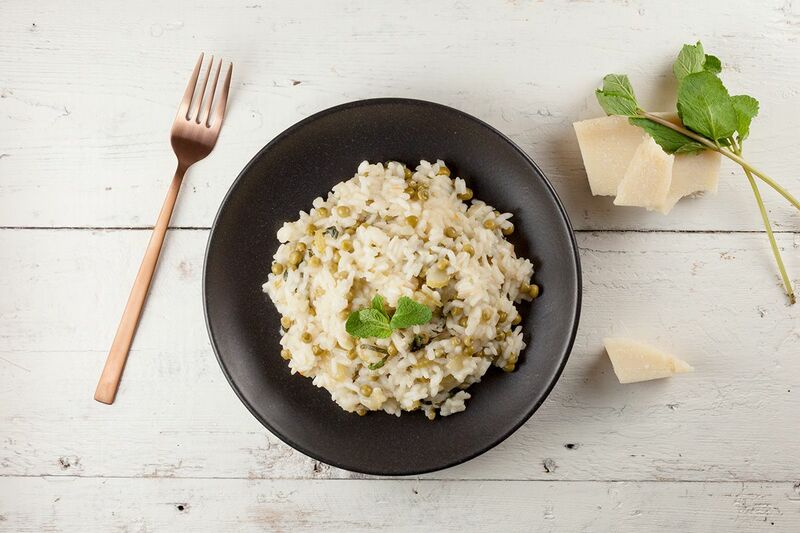 Serve the pea and mint risotto with extra grated parmesan cheese. Enjoy your meal!